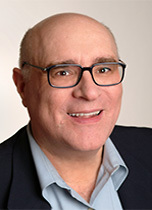 Joe Brancatelli created The Tactical Traveler in 1998 for the now-defunct Biztravel.com. The column was conceived as a series of items that would make frequent business travelers more productive on the road. There was also a heaping helping of Joe's trademark skepticism about the travel industry and its practices. After the 9/11 terrorism attacks, however, Joe recreated Tactical Traveler as the news and analysis column for JoeSentMe. There's still plenty of skepticism, of course, because life on the road makes us a wary lot. The briefing in brief: United bails on another China route. Accor folds Fairmont Presidents Club. Beware traffic next year at Washington/National. New U.S. flights to Milan. WestJet jilts American for Delta. San Jose and Worcester, Massachusetts, get nonstop flights to New York. Plus the curious case of ATM thefts at Marriott hotels. And more. The briefing in brief: For your sanity, book away from American Airlines in December. Marriott won't merge frequent-guest plans in 2018. Delta shifts some domestic flights to Delta One service. Air Canada takes a run at U.S flyers. And more. The briefing in brief: Emirates thinks we're very, very stupid. Sea-Tac gets two more nonstop routes. Hyatt opens an Andaz in Singapore and Marriott opens two Moxy hotels in Japan. AAdvantage continues to lose partners. Chicago and Boston get more international flights. And more. The briefing in brief: Qatar Airways buys into Cathay Pacific and dreams of global grandeur. TSA proves its incompetence again. U.S. extended-stay hotels arriving in Europe. Island Air folds in Hawaii and Southwest Airlines is on deck. Flying Blue devalues. How much? TBD. And more. The briefing in brief: Six airlines shift terminals at New York/LaGuardia. Kimpton Karma Rewards will disappear. JetBlue slashing Puerto Rico capacity by 33 percent. Marriott and Hilton are outbuilding the hotel industry. TSA PreCheck adds four more international airlines. And more. The briefing in brief: United Airlines shares fall 12 percent after awful earnings call. JetBlue adds Minneapolis flights for connections via Boston. Delta tinkers with Amsterdam and London schedules. Limited-service hotels are future of lodging. Berlin to Munich in four hours by rail. And more. The briefing in brief: Airlines create the perfect bad product that no one wants to buy. None dare call it terrorism: The North Carolina airport attack you didn't hear about. Lufthansa buys half of dying Air Berlin. Hyatt continues slide into mediocrity. Pakistan International ends U.S. flights. Alaska Air tests pre-order meals. And more. The briefing in brief: GOES goes as the Feds change online access to our Trusted Traveler programs. Air France returns to Seattle and Aer Lingus adds more Dublin routes. American says it's serious about Philadelphia. Now United Airlines is late with Polaris lounges, too. And more. The briefing in brief: Parts of the Caribbean are still in shambles. Delta SkyMiles really, really doesn't value your loyalty. Lufthansa resumes its New York-Berlin flights. Signs of life at Embassy Suites. Iraqi officials close the airport in Erbil. Ryanair is melting down. And more. The briefing in brief: Nonstop flights to Brazil make a comeback as the economy revives. British Airways' new London-Seychelles flights mean opportunities to use AAdvantage miles. Hilton grows its Home2 Suites brand. Emirates flyers are clubless at JFK. And more. The briefing in brief: New routes to burn off those United MileagePlus miles. Extended-stay hotels dominate the lodging pipeline. Ritz-Carlton loses an original and gains a Swiss Miss. Hong Kong Airlines launching nonstops to Los Angeles. Marriott's ship of fools. And more. The briefing in brief: The high cost of Hurricane Harvey for the Houston-hubbed airlines. Hypocrisy, thy name is Delta's new Indianapolis-Paris route. The immediate future of U.S. lodging in one word? Marriott. Air Berlin chops U.S. nonstops to Berlin. Amtrak's "soft" upgrades. And more. The briefing in brief: Southwest floods the zone in California. Marriott locks up the Mauna Kea Resort on the Big Island of Hawaii. Air Canada adds more flights from Montreal and Vancouver. JetBlue isn't afraid of Delta in Atlanta. BA and Delta add more international routes. And more. The briefing in brief: American Airlines overhauls its route map to duck Delta. International discount carriers arrive in Middle America. What's in an airport name? Plenty if the name is Orlando. Everything is coming up Marriott everywhere. More discount flights to Tel Aviv. And more. The briefing in brief: Hainan Airlines will fly from New York to Chengdu and Chongqing. Southwest annoys A-Listers and JetBlue annoys Long Beach. A round hotel return in Detroit. Air Berlin heads down the tubes. Beware: American's Boeing 737 Max is on the schedule. And more. The briefing in brief: Nobody but Obama and Fox News likes Sheraton hotels. Southwest adds more international flights and JetBlue adds more Mint routes. United bails on nonstops to one of its "secondary" China markets. TSA makes another change to PreCheck. And more. The briefing in brief: InterContinental tightens cancellation policy--and Hilton hints at even more changes. United tries Denver-London again. Fly the friendly skies of DeltaAirFranceKLMVirginAtlanticChinaEastern. TSA tests annoying new electronics rules. And much more. The briefing in brief: Everything's coming up roses (and laptops) at airports worldwide. Delta cuts Narita again to grow in Shanghai. The airport lounge life is constantly shifting. Hotel hotspots: Texas, New Jersey--and China. The Habitat houses that miles (and frequent flyers) built. And much more. The briefing in brief: Alaska Airlines won't be Switzerland anymore. The U.S. security guys bullying the world's airports have a 95 percent failure rate. Hotel "soft" brands continue to grow rapidly. United subtracts and adds international flights. El Al adding Dreamliner runs. And more. The briefing in brief: Homeland Security backs off its global electronics ban and settles for stale rhetoric and more security kabuki. United devalues MileagePlus. Shake Shacks are coming to an airport near you. Delta and Korean Air will form a joint venture. And more. The briefing in brief: Marriott and Starwood stand alone on 48-72-hour cancellation rules--and it's not competitive. Delta starts flying A350s configured with premium economy in the fall. Virgin Atlantic cuts its frequency plan. Qatar Airways wants to buy into American. And more. The briefing in brief: United Adds Hawaii flights and an LAX-Singapore nonstop. Limited-service hotels scale the Himalayas. American will offer premium economy on 12 international routes this winter. Etihad dumps San Francisco. Amtrak trims New York/Penn service. And much more. The briefing in brief: The TSA is testing more dumb checkpoint rules. Candidate Trump trumps President Trump as an appeal court continues ban on travel ban. Delta and Aeromexico will add new flights. Big hotel chains finally add some new full-service properties. And much more. The briefing in brief: Fierce EU resistance temporarily delays the electronics ban. Boston/Logan gets more lie-flat flights. Air Canada adds six new winter routes to warm-weather destinations. Marriott is growing faster than any other hotel chain. And much more. The briefing in brief: Homeland Security is poised to ban electronics on flights from Europe. Air Canada dumps Aeroplan. El Al will return to Miami for the first time in a decade. The terminal chaos at LAX starts on Friday. More airport clubs open. And much more. The briefing in brief: May will be very messy at LAX. United has a Let's Get Past David Dao Day. Alitalia is collapsing (yeah, again). BA will remake JFK Terminal 7 and Alaska Air and Virgin America will move there. Delta bulks up against JetBlue at Logan. Statistics show Airbnb isn't hurting hotels. Another strike on the London Underground is coming. And more. The briefing in brief: Learning the lessons (or not) on denied boarding. Emirates claims (without evidence) that Trump is to blame for its U.S. flight cuts. A hotel atop a hotel at an Alabama mall. Alaska Air juggles flights at Dallas/Love Field. More woes at United Polaris. And more. The briefing in brief: Alternate carriers offer more choice on transcontinental routes. Low-fare transatlantic carriers expand U.S. routes. Alaska Airlines will keep Virgin America's Dallas/Love Field gates. DoubleTree by Hilton now slaps its name on factories. More Priority Pass options. And more. The briefing in brief: Trump Administration slow-walking appeals of the travel ban. Delta adds lie-flat beds on two new transcontinental routes. American now selling international premium economy seats. United's Polaris business class is delayed again. Oh, snap! Alaska and Branson fight over Virgin name--again. The briefing in brief: Alaska Airlines will dump Virgin brand and add more premium seats, but won't go lie-flat on transcon service. A new low-fare/high fee transatlantic airline is backed by British Airways and Iberia. Washington/National will replace hellish Gate 35X with a new concourse. Meet your shadow DOT Secretary. And much more. The briefing in brief: American joins United in adding lots more O'Hare flights. Alaska Air bulks up in San Diego, too. Marriott super-elites get United Gold status. Air Canada adds two new (old) transborder routes. Huge losses at Turkish Airlines and Air India. United's Polaris seat woes. And much more. The briefing in brief: Alaska Airlines and Virgin America build a redoubt in the San Francisco Bay area. Priority Pass adds more domestic options. Six airlines win new routes to Mexico. Small-town America gets a little love from the major hotel chains. Qatar Airways adds double beds in business class. And much more. The briefing in brief: United reverses course again. Singapore Air and Amex Platinum give--and take away. Delta says poles with signs will improve airport boarding areas. Hyatt will operate 1,800 rooms at a jinxed Bahamas resort. Tel Aviv gets more and better flights. And more. The briefing in brief: Norwegian Air adds 10 U.S. routes with a $65 bait-and-switch fare. The five cities with the most hotels in the development pipeline. Hainan Airlines adds two new routes to China from LAX and more are coming. The Trump Administration is now slow-walking a revised travel ban. The briefing in brief: If these are good times to fly, why don't you feel better about travel? American's Phoenix hub shrinks. TSA "behavior detection" unit is fake news and fake science. Airlines are wild about Montreal flights. Delta restores coach meals on 12 long domestic routes. And more. The briefing in brief: Trump meets airline and airport executives. Flying to Cuba is so last year. Delta shuffles international schedules. Alaska Air adds two routes from Albuquerque. Hilton Honors drops an 'H' and the award chart. Not seeing red: At Air Canada, black is the new black. And more. The briefing in brief: Eleven more carriers get PreCheck privileges. New American 737 aircraft won't have seatback monitors. Air India will fly to Washington/Dulles. JAL adds a JFK-Haneda flight. Long Beach says no to international flights. Hilton creates another hotel brand. And more. The briefing in brief: What is in your wallet? American invents nine boarding groups (and a secret one). Fear, loathing and delusion at the TSA. Delta adds seven more routes from Sea-Tac. Hyatt buys a chain of resorts. The DOT wants to change fare displays. And more. The briefing in brief: Falling international coach fares revive the two-seat scenario. Cathay Pacific is moving to Terminal 8 at New York/JFK. This week's intersection of politics and business travel. Another new batch of Marriott hotels. JetBlue is all WiFi all the time. And more. The briefing in brief: Southwest will fly to Cincinnati, but drop Canton and Dayton. Hong Kong Airlines launches a Vancouver route. A burst of frequent travel plan changes for the new year. Marriott grows Fairfield Inns fast. Another British Airways strike ahead. Global train talk. And more. Copyright � 1993-2017 by Joe Brancatelli. All rights reserved.